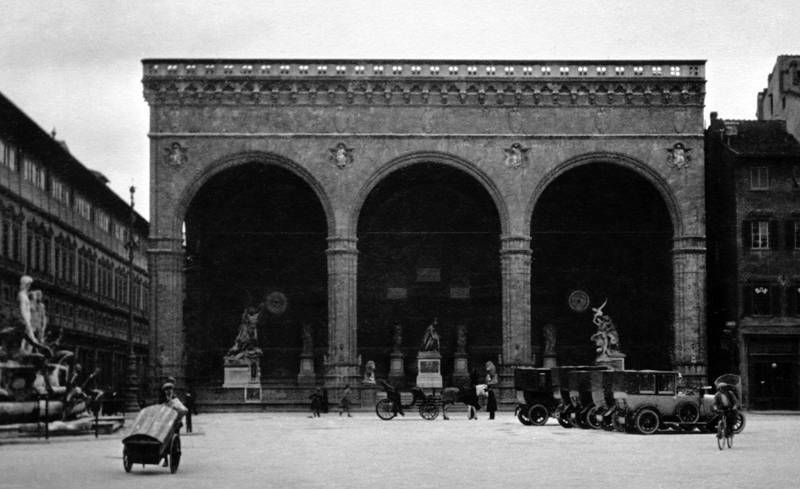 This is Loggia dei Lanzi in Florence Italy in 1926. The original photograph belonged to my Grandfather. I used a levels layer to expand the tonal range of the scan. By moving the white point down and the black point up it ensures you have strong blacks and bright whites in your final image. I then used clone and spot healing tool to clean up the marks and scratches. Great minds think alike. Link to wiki is already in shot notes. I’ve been often in Firenze. Nice to see this old view of the plaza.